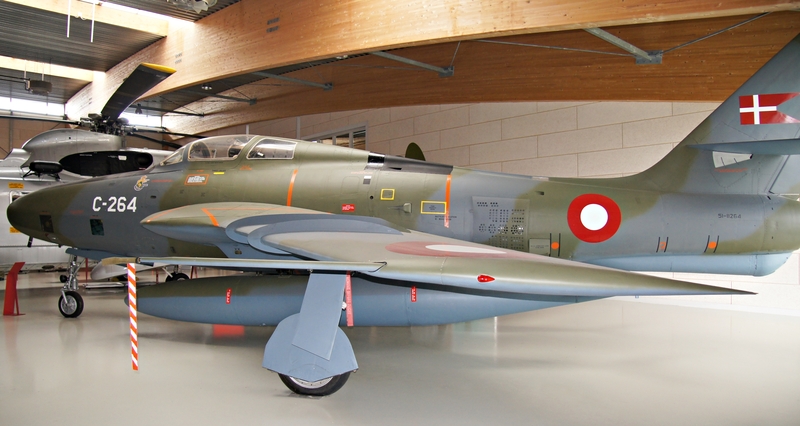 Danmarks Flymuseum was founded in 1975. Up to 2007 it was known as “The Danish Collection of Vintage Aircraft”. 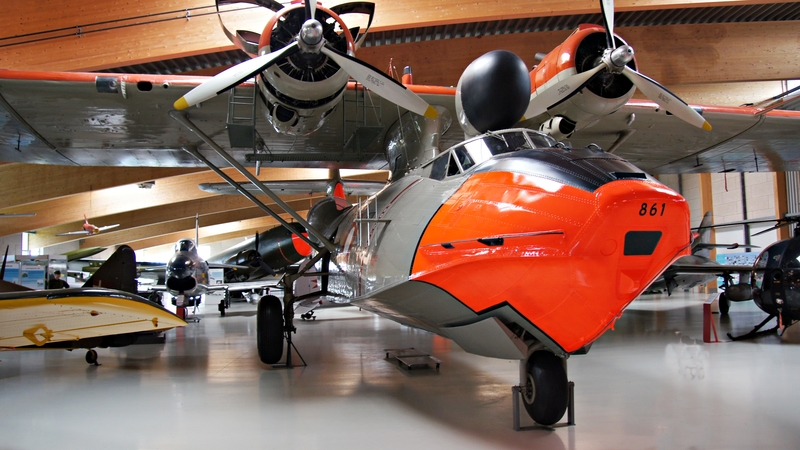 Danmarks Flymuseum has created a museum of high standard and the museum benefits from national and international interests. 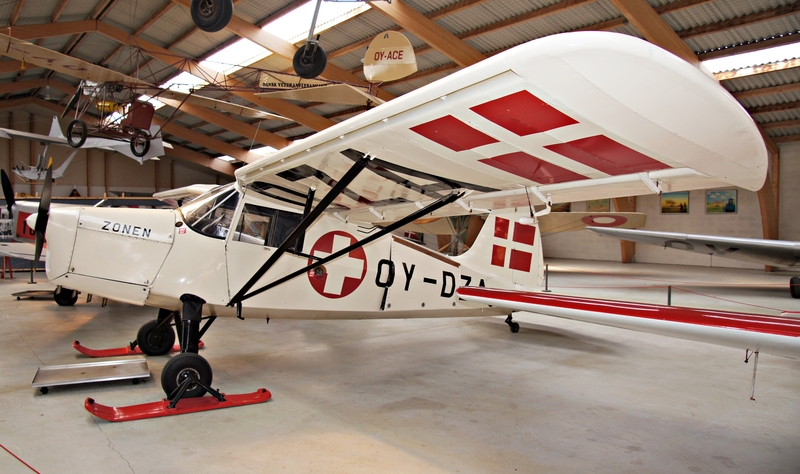 The museum houses more than 50 aircraft, among them a complete collection of the Danish KZ-aircraft built by Scandinavian Aero Industries from1937 to 1956, a total of 11 different types with 8 of them being the only example in the world. Many of those aircraft are still airworthy and performs in air shows and other aviation events in Denmark and other countries. The museum covers 75350 sq.ft. and has made it possible to show Danish Air Defence and military flying up till today. 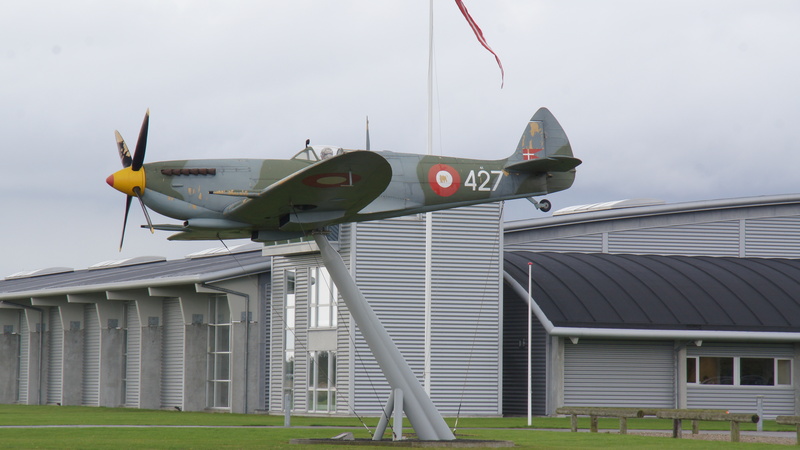 Danmarks Flymuseum is worth visiting and that is what I did this year when in Denmark. The museum is situated in western Jutland in Stauning near the town of Skjern. It is about a 4 hour drive from Copenhagen and can be made as a day trip. I spent 8 hours driving and 4-1/2 at the museum before they “threw” me out, because they were closing. I found all the aircraft on display in very nice condition and could not find a speck of dust on any of them. All are nicely painted and it was a “feel good” experience for me. Not only seeing the vintage aircraft, but saying hello to some of my old friends from the RDAF that was in service at the same time as me (1964-1971). Here are a few photos of the aircraft on exhibit, if you want to see all 50 you got to visit the museum or as an alternate visit their website for more. KZ III is the most numerous of the KZ types, a total of 64 were built. The prototype flew first time in 1944 “disguised” as an ambulance aircraft. Four were built as ambulance aircraft with room for stretcher. 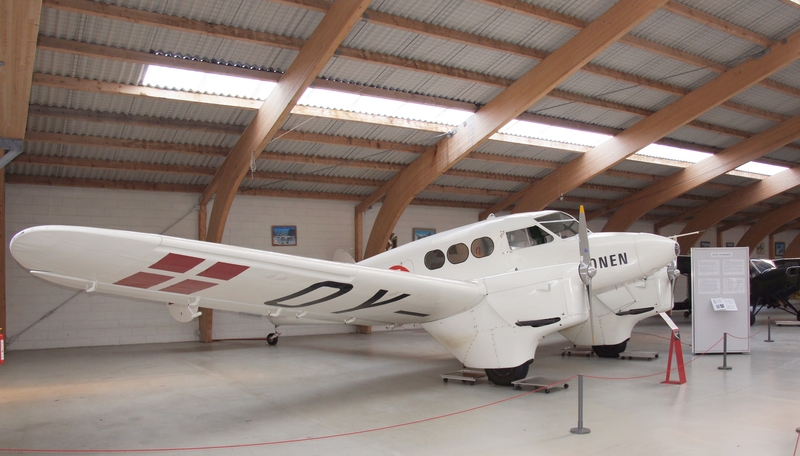 OY-DZA flew its last mission as an ambulance aircraft for Zone-Redningskorpset in December 1962 and is still airworthy. Royal Danish Air Force, Hunter T.Mk 51. In 1956 RDAF received 30 Hunters. The plan was to phase out the Hunter’s in 1961, but the last flight took place in 1974. KZ IV was specifically designed as an air ambulance for the Zone-Rescue Corps. The plane was designed to carry two patients on stretchers, 2 companions and a crew of 2. The plane is built entirely in wood. There was only two built of the type. OY-DIZ flew first time 4. May 1944 and OY-DZU on 10. January 1949. OY-DIZ is still airworthy. SAAB F-35 Draken was introduced into the RDAF in Sep. 1970. A total of 51 Drakens were delivered over the years, some as F-35 (fighter/bomber) and some as the RF-35 (photo-reconnaissance) which replaced the RF-84F. It is said that this was the best aircraft in the RDAF and that grown men cried when the aircraft was retired in the early 1990’s. RDAF Republic RF-84F Thunderflash. The photo flight at Karup had a total of 23 aircraft during its time and unofficially was called the “Night Hawks”. Flying low level photo missions in the Baltic Sea and photographing every Russian navy ship moving during the “Cold War”. A treasure chest for all our NATO Allies. It was equipped with two 450Gal. drop tanks and was according to the pilots “under-powered”. It only made it into the air due to the curvature of the earth :-)). 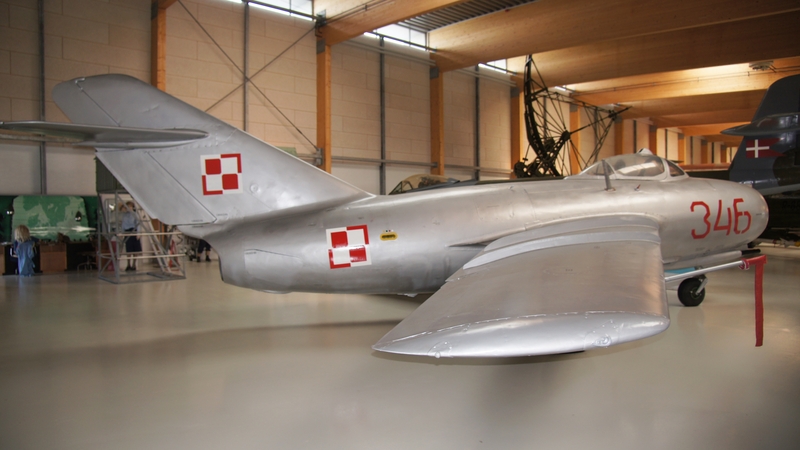 Polish Air Force MIG-15bis in the markings of the aircraft who defected to the Danish Island of Bornholm on March 5, 1953. The pilot believed that there was a major NATO airbase, but found a 3600ft. grass runway instead. He landed the aircraft safely and was eventually given an American citizenship and $ 50,000 for his bravery. The aircraft was returned to Poland after about two weeks.